Under the terms of the agreement, Dana will acquire the unit — which complements Dana’s strategy for accelerating hybridization and electrification — for $600 million. Subject to customary regulatory approvals, the acquisition is expected to close late this year or the first quarter of 2019, according to the Maumee, Ohio-based company. 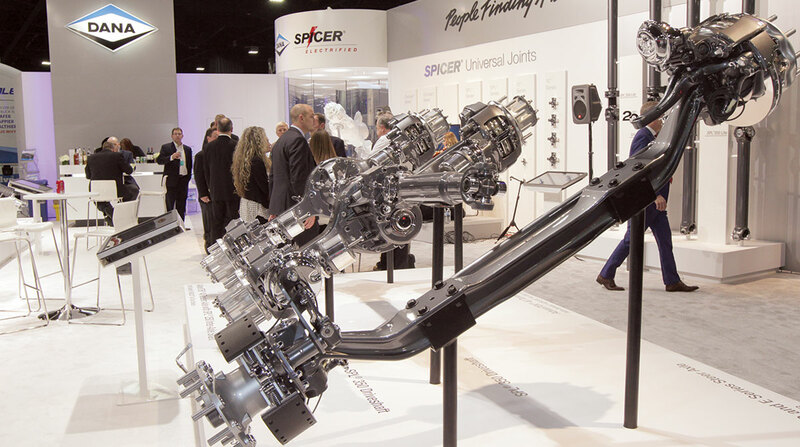 Among other benefits, the new unit will complement and extend Dana’s current technology portfolio, especially with respect to high-precision helical gears for the light- and commercial-vehicle markets and planetary hub drives for wheeled and tracked vehicles in the off-highway market. Also, it provides products, controls and software that support vehicle electrification in each of Dana’s end markets — light vehicle, commercial vehicle and off-highway. “A great fit culturally, this investment will deliver significant long-term value by accelerating our commitment to vehicle electrification and strengthening the technology portfolio for each of our end markets while further expanding and balancing the manufacturing presence of our off-highway business in key geographical markets,” Dana CEO Jim Kamsickas said in a statement. The acquired business employs 5,900 people and operates 10 manufacturing and engineering facilities in China, India, Italy, the United Kingdom and the United States, with two additional facilities under construction in China.